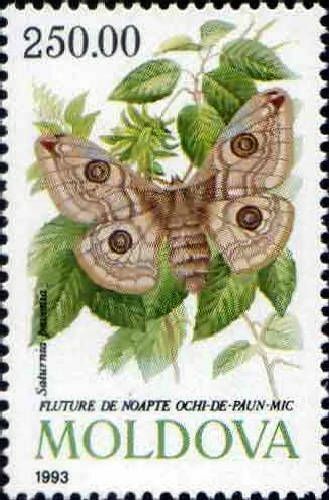 On 22 December 1993, the Post Office of Moldova (Poșta Moldovei) issued a series of postage stamps with the title Butterflies and Moth (I). The issue comprises four stamps, with associated cancellation (postmark) and first day cover (FDC). The designer was Pal Varaga. The printing was performed by Graficas Jorcar, Barcelona. Lepidoptera of Moldova consist of both the Butterflies and Moths recorded from the Moldova. According to a recent estimate, there are a total of 851 Lepidoptera species present in Moldova. Read more.. 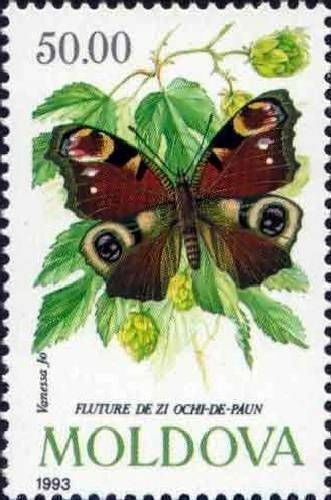 This article uses material from the Wikipedia article 'List_of_Lepidoptera_of_Moldova', which is released under the Creative Commons Attribution-Share-Alike License 3.0. 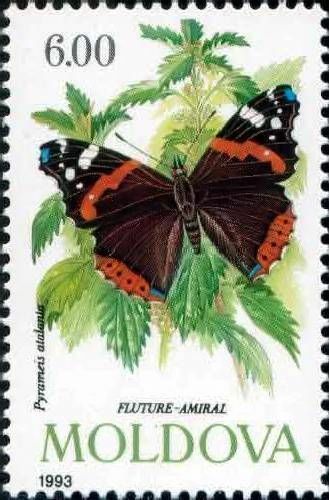 The Red Admiral (Vanessa atalanta) is a well-known colourful butterfly, found in temperate Europe, Asia and North America. The Red Admiral has a 45–50 mm (1.8–2.0 in) wing span. The species is resident only in warmer areas, but migrates north in spring, and sometimes again in autumn. Read more.. This article uses material from the Wikipedia article 'Vanessa_atalanta', which is released under the Creative Commons Attribution-Share-Alike License 3.0. The Old World Swallowtail (Papilio machaon) is a butterfly of the family Papilionidae. The butterfly is also known as the common yellow swallowtail or simply the swallowtail (a common name applied to all members of the family, but this species is the 'original', first to go by the name). It is the type species of the genus Papilio and occurs throughout the Palearctic region in Europe and Asia; it also occurs across North America, and thus, is not restricted to the Old World, despite the common name. Read more.. 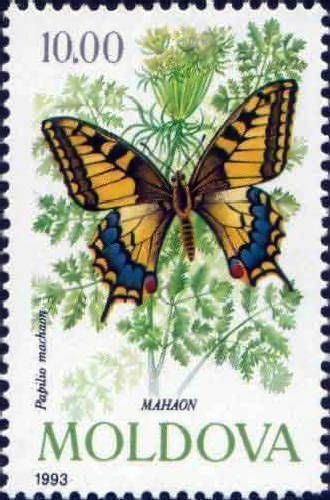 This article uses material from the Wikipedia article 'Papilio_machaon', which is released under the Creative Commons Attribution-Share-Alike License 3.0. The European Peacock (Inachis io), more commonly known simply as the Peacock butterfly, is a colourful butterfly, found in Europe and temperate Asia as far east as Japan. Classified as the only member of the genus Inachis (the name is derived from Greek mythology, meaning Io, the daughter of Inachus). It should not be confused or classified with the Read more.. This article uses material from the Wikipedia article 'Inachis_io', which is released under the Creative Commons Attribution-Share-Alike License 3.0. The Small Emperor Moth (Saturnia pavonia) is a moth of the family Saturniidae. Sometimes, the incorrect genus name Pavonia is still used for this species. This moth occurs throughout the Palearctic region and is the only member of its family to be found in the British Isles where it is usually called simply the Emperor Moth. Read more.. This article uses material from the Wikipedia article 'Saturnia_pavonia', which is released under the Creative Commons Attribution-Share-Alike License 3.0.